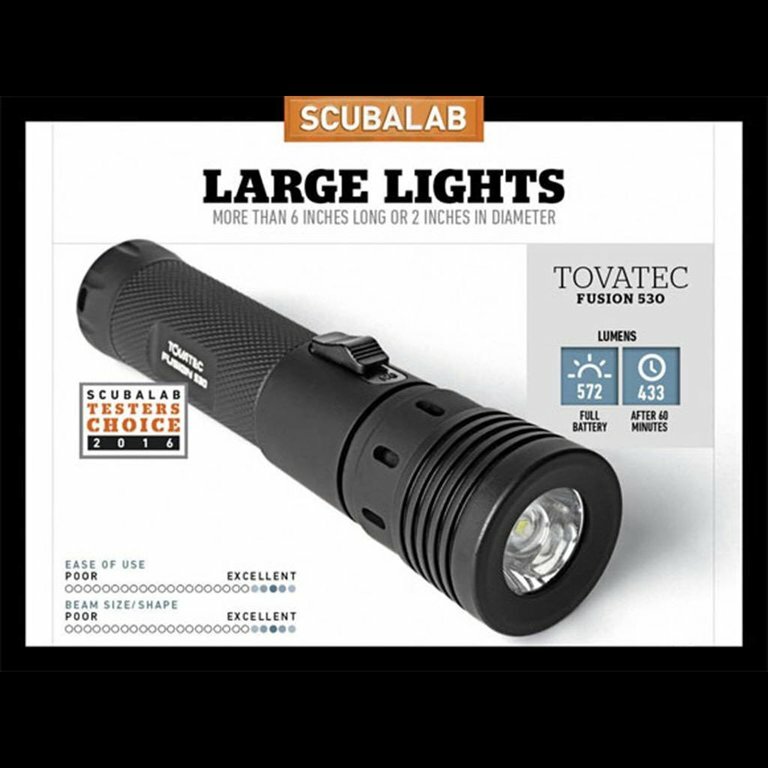 The Fusion line from Tovatec provides amazing amounts of light for any dive. Whether you are diving on a wreck, in a cave, or just drifting along a reef, the Fusion provides excellent vision. 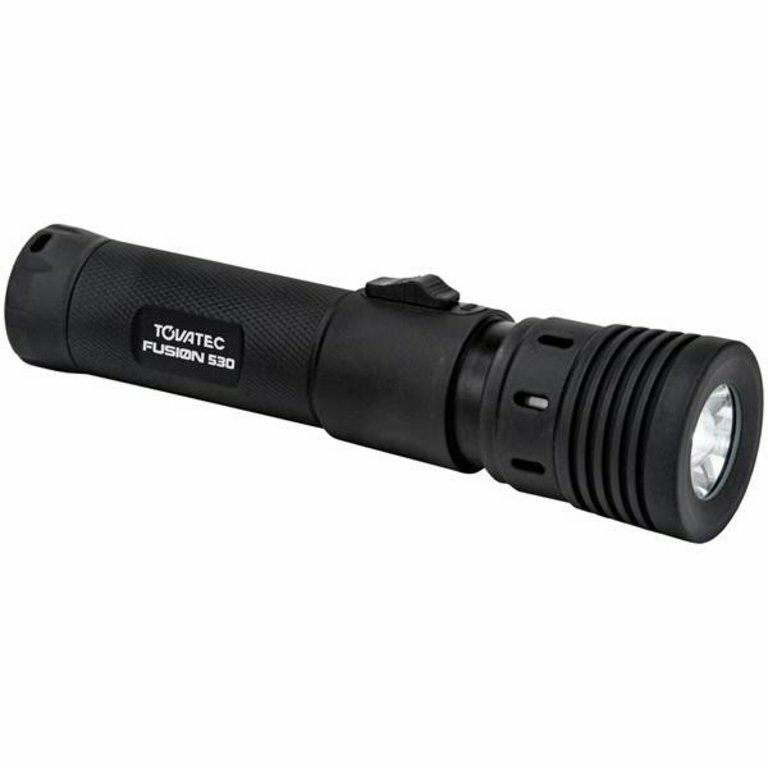 Available in 260, 530 and 1000 lumens, this dive light features a zoom, and accepts AA alkaline batteries (not included) or lithium-ion rechargeable battery (included). Love this light, I've pushed it past 120 ft, in salt and fresh water. I have drop it on rocks from more then 5 feet and not even a scratch. 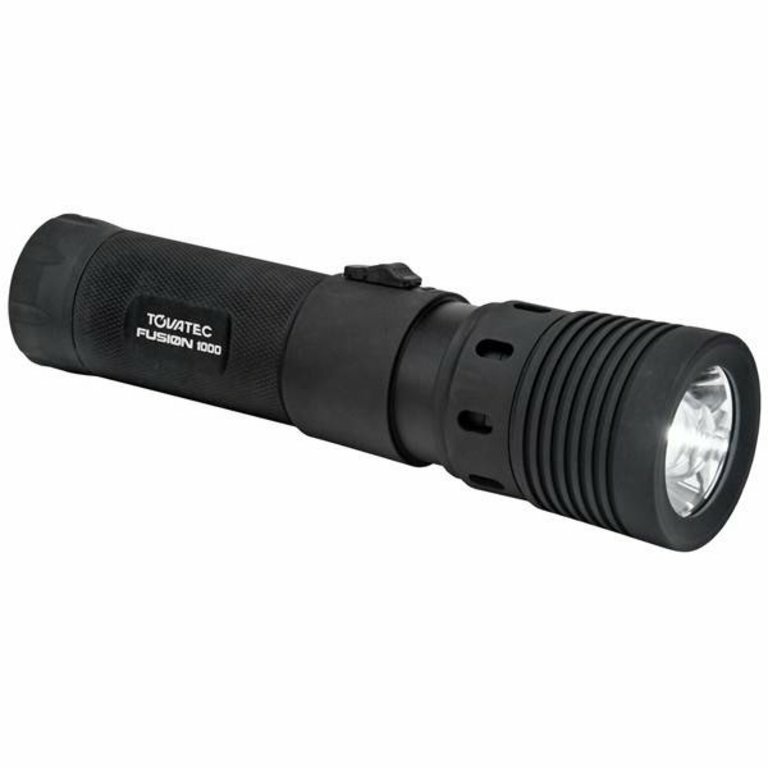 The adjustable beam feature works great and since it's an optic that slide up and down the enclosed LED source there is no way water can seep into the interior circuitry. Very smart design. The only thing to watch out for is if you adjust the optic close to dirt or sand, the optic cavity can fill upm with dirt. A battery charge seems to last a little more then 3 hours with the lithium batterie. Much less if you use the AAA batterie adapter. 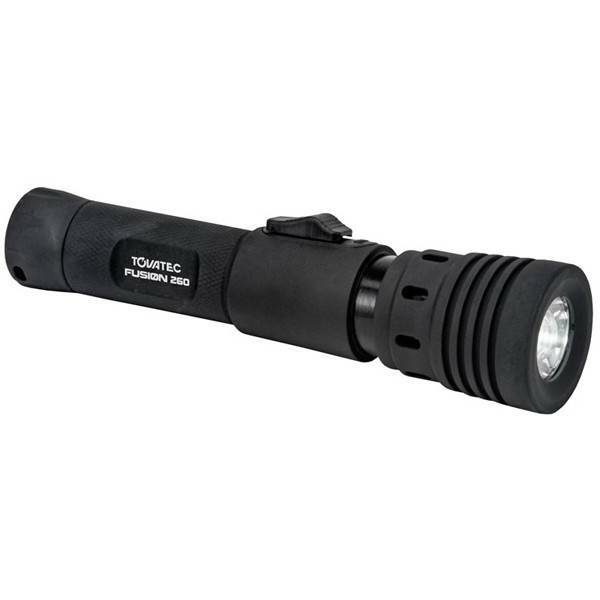 The only reason I did not give it a 5 star rating is the adjustable beam has dark spots at certain intervals. Overall for the price, it's a great deal and I would suggest it to everyone that needs an affortable primary light source. I have the 1000 lumen version.